Benson Enterprises was first established in 1969 by Frank Benson. Frank along with his business partner John Holley, created Benson Enterprises as one of the first Hotsy dealers in the Southeastern USA. 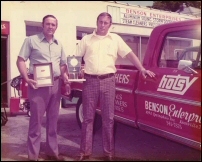 It did not take long before the pressure washing tradition of excellence was established at Benson Enterprises as it took National Sales honors 3 straight years for Hotsy in 1972, 1973, and 1974. 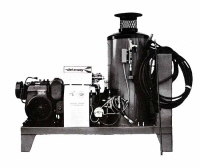 Due to the sales and service excellence of Benson Enterprises, in 1975 Delco agreed to private label hot high pressure washers for the company under the name Jet-A-Way. As Benson's dedication continued, Jet-A-Way quickly became the region's #1 name in pressure washing systems. 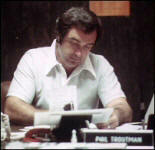 Looking for ways to continually improve the Jet-A-Way cleaning system products, Frank decided to begin custom manufacturing cleaning systems in 1978 along with sales manager Phil Troutman. Along with his two sons, Nick and Perry Benson, the new manufacturing facility featured systems with Stainless Steel heating coil wrappers and stainless steel water tanks. 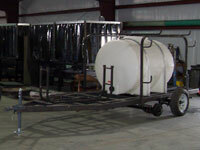 Benson Enterprises also introduced the first Jet-A-Way mobile cleaning system catering to the coal mining industries of Kentucky and Virginia. With such improvements and cutting edge developments in the Jet-A-Way systems developed by Frank, Nick, and Perry, Jet -A-Way became a logical target for acquisition... and in 1980 a company bought out Jet-A-Way from the Benson's. Frank retired. As part of the purchase agreement, Nick and Perry worked for Jet-A-Way until 1983. After their service to Jet-A-Way in late 1983, Nick and Perry went back and re-established Benson Enterprises. 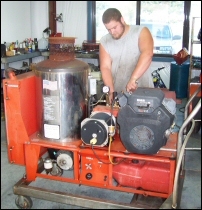 They built there own coil rolling machine, (which their quality replacements were quickly sold throughout the Southeast), and the brothers gradually developed a small line of simple, durable, and functional hot-high pressure washing equipment which they brought to market as Magnum Cleaning Systems. 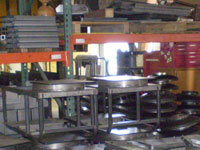 Over the next twenty years, Magnum Cleaning Systems have built a durable line of cleaning systems. 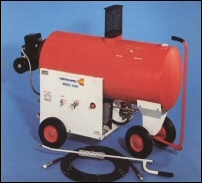 Benson Enterprises has also extended the Magnum line by building a wide variety of custom pressure washing equipment specifically designed for customers use. "Our company spent years developing pressure washing equipment that suits the customers cleaning needs", proclaims Perry Benson. "Cost has never been our major driver in designing washing equipment...quality must come first!" he exclaims. 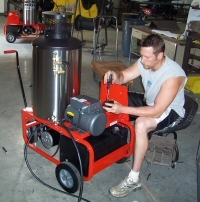 Currently, Magnum Cleaning Systems' manufacturing facility in Knoxville Tennessee are producing the most durable and toughest hot-high pressure cleaning systems available. As an added bonus - the Magnum Systems always look sharp too! In recent years Benson Enterprises has gotten the Magnum line involved in dirt track racing. In fact, Magnum Cleaning Systems is the Official Hot-High pressure washer of the UDTRA (United Dirt Track Racing Association) pro dirt car series for 2001. Magnum Cleaning Systems also co-sponsors 2000 Hav-A-Tampa Dirt Track Champion Scott Bloomquist. 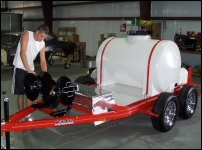 Dirt track Racers are a small segment of professionals that have come to highly depend on Magnum Cleaning System's Hot pressure washers to keep their racing cars and equipment clean. 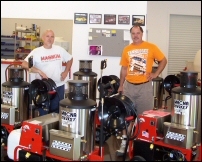 With a lifetime of experience in manufacturing high quality hot-high pressure washing equipment, Benson Enterprises and brothers Nick and Perry Benson are focused on expanding its network and geographic marketing area and making available the great MagnaBlast Cleaning Systems that have dominated the Southeastern USA to the rest of the country...for that matter the rest of the World!